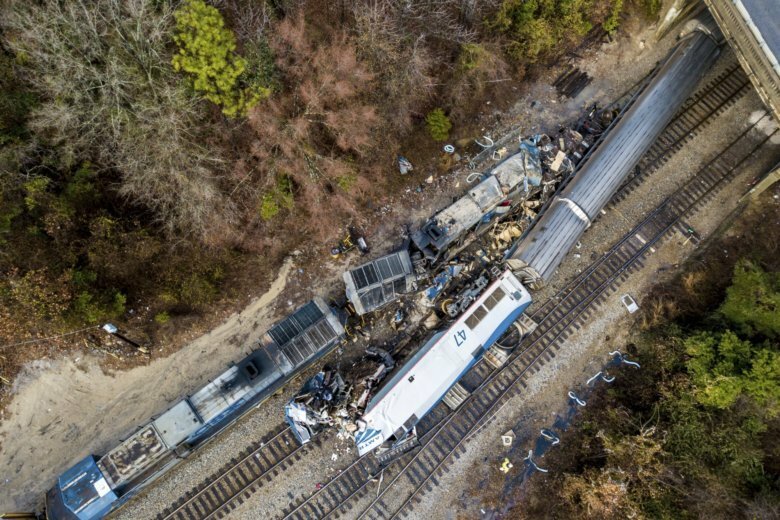 For several hours, National Transportation Safety Board officials questioned representatives from CSX about the Feb. 4 crash near Cayce, South Carolina. The NTSB has previously said that a switch was left in the wrong position, sending a New York-to-Miami Amtrak passenger train onto a side track where a CSX freight train was parked after offloading materials nearby. Amtrak engineer Michael Kempf, 54, of Savannah, Georgia, and conductor Michael Cella, 36, of Orange Park, Florida, were killed. More than 100 passengers were taken to hospitals for treatment. CSX owns the tracks where the crash happened. On Tuesday, NTSB Board Chairman Robert Sumwalt questioned CSX employees over what he saw as executive-level turmoil within CSX that could have potentially laid the groundwork for miscommunication and inattention to details leading up to the Feb. 4 crash. Sumwalt also displayed data charts showing that CSX trains are moving more quickly through the railroad system, yet the company employs fewer people. He asked CSX officials why safety wasn’t listed as a 2017 target on a CSX shareholder report that did mention efficiency, operating ratio, earnings growth and shareholder value. “What is your metric for safety?” he asked. CSX representatives present at the hearing responded that their jobs were focused on train operations and signal communication, not business operations, so they would have to let other officials respond. Justin Meko of Amtrak said that the passenger rail company had evaluated its own safety approach in the months following the crash. At the time of the crash, automated signals that could have warned the passenger train to stop before reaching the switch sending it down the side track were turned off as workers installed a GPS-based system called positive train control, or PTC. Meadows said Tuesday that CSX has made several safety changes since the crash, including requiring employees that change track switches to verbally confirm changes with other crewmembers. CSX official Jason Schroeder also walked investigators through other changes, including red tags attached to all track-switching locks while signaling systems are suspended, as during the Cayce crash. “There’s a whole barrage of things we do leading into the cutover to make sure they go very well,” Schroeder said. Kinnard can be reached at http://twitter.com/MegKinnardAP . Read more of her work at https://apnews.com/search/meg%20kinnard.